For when you need something to break up the Turkey this Christmas, this hearty family stew is easy to prepare and ideal for freezing, making a great standby meal. Containing our vegetable of the month, cabbage. Heat the oil in a large pan. Roll the pork in the flour, then brown in the pan for 5-8 minutes, turning regularly – you may find it easier to do this in batches. Stir in the shallots, cider, stock, cranberry sauce and thyme sprigs. Bring to the boil, then cover and simmer very gently for 1 hour. Remove the lid and continue to simmer for 30-45 minutes until the liquid has slightly thickened and reduced – there should still be quite a lot of liquid. Season lightly. 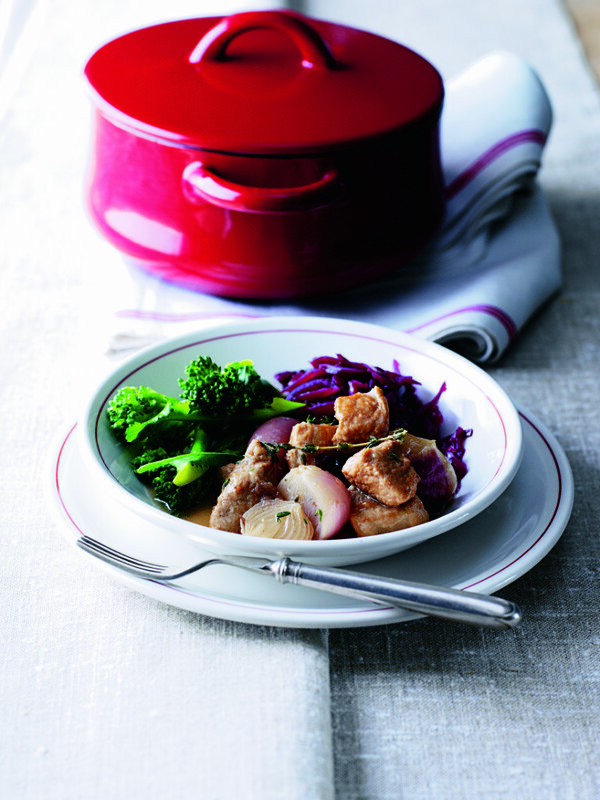 Serve with 2 x 200g packs Waitrose Red Cabbage and lightly steamed broccoli spears. To make it easier to peel shallots, place in hot water for 2-3 minutes to soften, then plunge into cold water to cool slightly. This dish can be cooled, then frozen in an airtight container for up to 3 months. 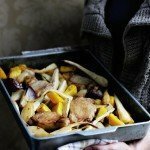 Thaw in the fridge and reheat gently until piping hot. Serve this succulent stew with one of its principal ingredients, Vintage French Cider a smooth and refreshing accompaniment. For more inspiration, visit the Waitrose recipe page.